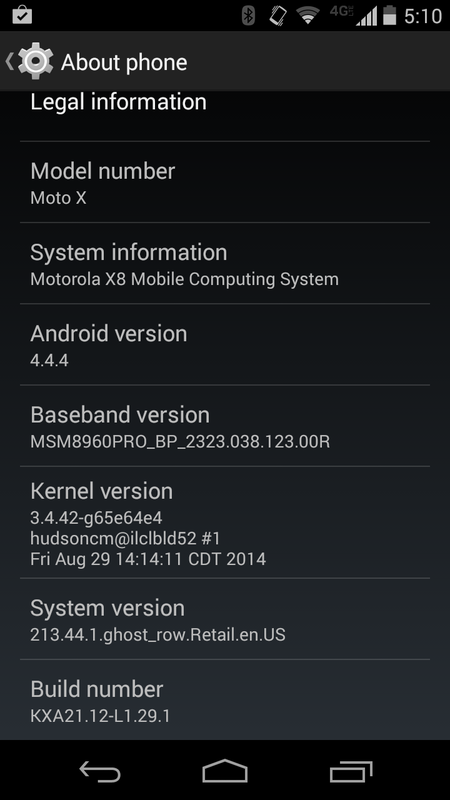 The T-Mobile variant of the original Moto X, which is a lot like this year’s “Pure Edition,” is finally receiving its update to Android 4.4.4. We aren’t sure what took Motorola so long to push this update out, since the Verizon, AT&T, and Sprint models have all had it for some time (update details), but that’s the situation. With the T-Mobile variant being controlled by Motorola as an unlocked device, you would have figured that it should be first to receive new software. Either way, the update started as a soak at the end of last week and may be rolling now to all. To check for it, head into Settings>About phone>System updates. The update is version 213.44.1.
iPhone 6 First Impressions - Yes, Really.